BEFORE ANCHORING IN THE RAILING. WE HAVE A LOT OF STUFF TO LIST SO KEEP US ON YOUR WATCH LIST! KNOW WHAT YOU ARE BUYING by letting US know what information you need from us. AND IS WELDED ON FROM THE BOTTOM. Item model number: 889230A. Adds Extra shine to your product. Tent or Sand NOT INCLUDED. 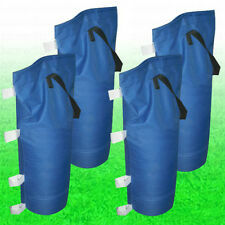 4 QTY Sand Bags For Pop Up Tents. Each Bag Weights Up To 19 LB After Filled With Sand Or Dirt. 16" Tall Bag. Color is White. Also available in Silver / Black color. 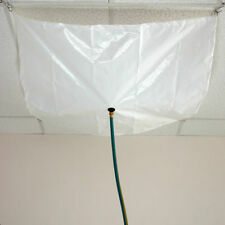 Applications: Facility Maintenance Safety, Pipe Ceiling Roof Leak Diverter, Drain Tarp - Catch the leak and drain away. Tarp Size: 3 ft x 3 ft. Tarp Color: White. Reversible Poly Tarp with triple lamination structure, 7 mil thickness. 1x PE Poly Tarp. Multi-purpose and easy to use, applied for general cover tent fly, camping ground sheet, construction, car covers, boat covers, machine covers, lumber covers, wind protectors, haystack cover, privacy walls, picnic mats, pool cover, roofing, landscaping, etc. This handle/latch is padlock lockable. Note: Padlock not included. 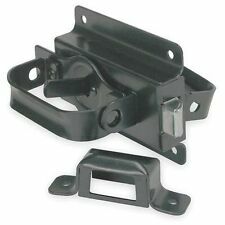 Latch Type: Pad Lock Lockable. For Door Thickness: 2-1/4". Color: Black. Width: 4-3/4". 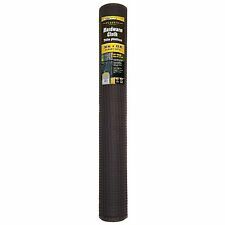 The super heavy duty polyethylene material is 5.5 oz/sq. yrd, 14 X 14 cross weave, laminated on both sides, and UV treated for maximum weatherproofing and tear resistance. This is a great multi-purpose tarp that can be used around the house and/or work place. 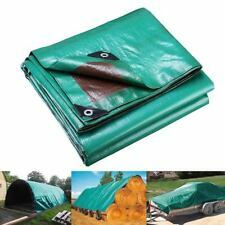 HEAVY DUTY 14 mil POLY TARP. All tarp sizes are listed as "Cut Sizes" This is the industry standard. 14 Mil Thickness. 100% Water Proof, Rot Proof & Mildew Resistant. 5' X 7' CLEAR PREMIUM. 6 oz per square yard. Legs Gazebo Canopy and other parts NOT Included. You will only receive the Wheeled Carry Bag. Hems reinforced with poly twine. 10x8 weave count. 2.9 ounces per square yard. The Caravan® 10' x 20' carport canopy features a heat-sealed, triple-layer polyethylene cover that's UV-treated inside and out with fade protectors and anti-aging/anti-fungal agents. We are glad you are here. 10x20 Multi-Purpose White Heavy Duty DRY TOP Poly Tarp (10'x20') FREE SHIP !!!!! When purchasing a tarp it is important to note the “cut size” vs. the “finished size”. That’s almost 20% shorter than the listed size after it’s finished! Make sure your tarp is a DRY TOP tarp for a FULL FINISHED SIZE. The Caravan® 10' x 20' carport canopy features a heat-sealed, triple-layer polyethylene cover that's UV-treated inside and out with fade protectors and anti-aging/anti-fungal agents. California proposition 65 warning: This product can expose you to chemicals including Diethylhexyl Phthalate, which is known to the State of California to cause cancer, birth defects, or other reproductive harm. The uses for this quality tarp are endless – from protective coverings to ice skating rinks. 6 ounces per square yard. UV treated for longer protection. White lamination both sides. LIGHT DEP SOLUTIONS AUTOMATIC LIGHT DEP RETROFIT KIT. 2 greenhouse light dep motors 100w (the bigger ones capable of longer rollup runs. Learn more at the Light Dep Solutions website. I have BOLD blackout tarp available as well. ). Removable Walls attached with Velcro Fasteners. Easy Removal and Assembly. Outdoor structures must be securely fixed Polyester Fabric is not fire proof, pls keep away from fire sources. Color: White. Perfect to Make Your Pergola Shiny and Refreshing! Enjoy outdoor living space without sun burn from now on! Sigman 6' x 8' Cotton Canvas Tarp 16 OZ - Tan Color. Strong and breathable cotton canvas. Water and mildew resistant, Made from wax finish water resistant natural cotton canvas fabric. Triple thick hems for durability, All seams and hems are double stitched. Will work on all models. The RanchEx Wire Gripper, For Barbed or Smooth Wire. Holds wire in place for fencing maintenance. Part Number: 102563. Item model number: 102563. For Barbed or Smooth Wire. 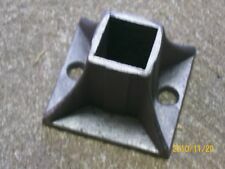 Included Components: Wire Gripper. This tarp hook screws onto the top of a plastic bottle allowing you to use them as a weight. Use with tarpaulins by hooking the bottle top hook through an eyelet. The filled bottle will weight down your tarp stopping it from blowing away in the wind. Keep your canopy where you want it with this universal sand bag kit! Don't let your tent get carried away by the wind or jostled during backyard activities. These bags are so easy to use you'll wonder why you didn't get them sooner. The item is made of high quality stainless steel so it is durable and will accommodate most kinds of shade sail. No need to worry about the installation. - The set is easy to operate and will accommodate most of the shade sail.